Ignoring Structural Discrimination in the Criminal Justice System - At What Cost? When Rethinking Crime and Punishment developed its Smart on Crime strategy, we agreed that it would not be sufficient to be a safe society, if in achieving it our society became manifestly unjust. Whether or not we are a civilised nation must be measured not by the absence of disorder, but by the presence of justice. For that reason, any policy or strategy we promoted had to be consistent with the basic human rights guaranteed under the NZ Bill of Rights and international covenants. One key issue was the extent to which structural discrimination existed within our criminal justice system. But how do you measure that? One key measure is to compare our human rights reputation in the area of criminal justice, with that of other nations. The most obvious point of reference then, is the United Nations Universal Periodic Review (UPR) of the NZ government's human rights performance which is conducted every four and a half years. Human Rights Council reviews whether or not UN member states are fulfilling their human rights obligations and commitments. Each state is reviewed once every four and a half years. It is a complex process and for those that are interested click here for a full explanation. The New Zealand government's first UPR took place in May 2009, with the adoption of the Outcome Report by the Working Group on 11 May and by the Human Rights Council on 24 September 2009. New Zealand's second UPR took place during January and February of this year, and focussed on the recommendations in the 2009 Outcome Report and on developments in the human rights situation in Aotearoa New Zealand. On 1 June 2014, the government announced that it had formally responded to the United Nations Human Rights Council second Universal Periodic Review (UPR) of New Zealand, accepting the “vast majority” of the 135 recommendations. “The Government accepts the vast majority of the recommendations, many of which encourage our nation to continue our current programmes that make New Zealand a leader in the field of human rights"
For those members of the public concerned with a specific issue, it is very difficult to track how well New Zealand is performing. Rethinking decided to make it easier by tracking the government’s response to the United Nations continuing concerns regarding Maori over-representation, and in particular, structural discrimination with the criminal justice system. “The Committee reiterates its concern regarding the over-representation of Māori and Pacific people in the prison population and more generally at every stage of the criminal justice system. It welcomes, however, steps adopted by the State party to address this issue, including research on the extent to which the over representation of Māori could be due to racial bias in arrests, prosecutions and sentences (arts. 2 and 5). When New Zealand reported on progress in 2013, it failed to either acknowledge or respond to CERD’s concern about racial bias and structural discrimination. Instead it highlighted a range of programmes and achievements which demonstrate a high level of cultural responsiveness to Māori. (Paragraphs 91 – 101, and 108 – 112)) - all of which are commendable. It further claimed that the government’s “Drivers of Crime Strategy” (paras 101 to 104), had played a major part in permitting Māori to design, develop and deliver innovative initiatives and solutions that are responsive to the needs of Māori. What is the significance of the Driver’s of Crime Strategy in Addressing Māori Over-representation? Rethinking has already voiced its concerns about the government’s Drivers of Crime Strategy, which seemed to have well and truly lost its way. In 2013 we published an article ‘The Drivers of Crime Strategy - RIP 2011’ pointing out that the last progress report had been published in July 2011. The second progress report went to Cabinet in December 2012, and was referred to by the Minister when she appeared before the CERD Committee in Geneva, in January 2013. It is most unusual to refer to a report which had not yet been released publicly in the member country. It was finally released in September. It was an unusual report and showed signs of playing ‘catch up’. There was a strong focus on Māori which didn’t connect with earlier stated goals, and a fifth priority area added, which spoke of “tailored local innovation with a strong focus on hard to reach Māori communities and youth In our view, the report lacked direction, purpose and clarity, and was less than convincing. The third ‘Drivers of Crime’ progress report was delivered by the responsible departments in February of this year to the Minister of Justice’s office, where it has stayed. In its Shadow Report to CERD, the Robson Hanan Trust submitted that government agencies had researched the adverse early-life social and environmental factors which result in Māori over-representation, and developed culturally appropriate programmes and services for Māori. What they had avoided doing, was to address the long standing concerns about the existence of personal racism and structural discrimination within the criminal justice system. Recommendations 81, 82, 83, 84, 133:New Zealand will continue a focus on Māori and Pasifika groups in the context of work to reduce crime, including their over-representation in the justice system. New Zealand is committed to increasing Māori participation in the police force. New Zealand will continue a focus on Māori and Pasifika groups in the context of work to reduce crime, including their over-representation in the justice system. New Zealand is committed to increasing Māori participation in the police force. While the UPR process was in train, the United Nations Working Group on Arbitrary Detention conducted a country visit to New Zealand from 24 March to 7 April 2014, following an invitation from the Government. The delegation was composed of the Chair-Rapporteur of the Working Group, Mr. Mads Andenas, and a member of the Working Group, Mr. Roberto Garretón. They were accompanied by two members of the Working Group’s Secretariat at the Office of the United Nations High Commissioner for Human Rights. A full report on the visit is expected in October 2014, but a statement issued at the end of the visit gives an indication of what we can expect. "that a review be undertaken of the degree of inconsistencies and systemic bias against Māori at all the different levels of the criminal justice system, including the possible impact of recent legislative reforms. Incarceration that is the outcome of such bias constitutes arbitrary detention in violation of international law." The Chair Mr Mads Andenas was interviewed on Checkpoint about the inconsistencies in the criminal justice system. The Robson Hanan Trust has very little research capacity but one doesn’t have to look far for evidence of structural discrimination. In the course of preparing a submission on the Bail Amendment Bill 2012 we examined whether Māori offenders were treated differently from non-Māori . When we examined Serious Class A Drug Offences (Class A) and Serious Violent and Sexual Offences (SVSO) we expected that the gap between bail decisions for Māori and non-Māori would narrow. This did occur for Serious Class A Drug Offences, where Māori were only 1.31 times more likely than Europeans to be remanded in custody at some time. (1) However, Māori who appeared before the Court on serious violence and sexual offences were almost twice more likely to be remanded in custody than Europeans. Australia, unlike New Zealand, is doing solid research in this area, where the rate of bail refusal is nearly three times higher than the proportion of non-Indigenous people. Australian research shows that Aboriginal defendants are likely to have more restrictive (and often unrealistic) bail conditions imposed, leading to higher rates of bail breaches in comparison to ethnic-­majority defendants. (2) We suspect a similar situation exists in New Zealand – but there has been no research in this area since the 1950’s. 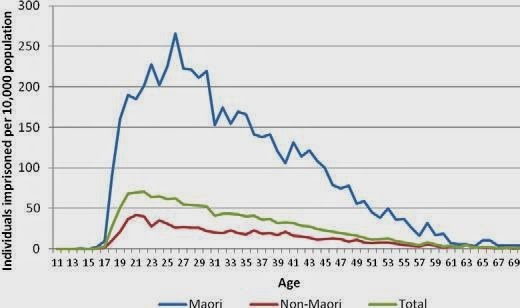 For Māori males born in 1975, it is estimated that 22 percent had a Corrections managed sentence before their 20th birthday, and 44 percent had a Corrections managed sentence by the age of 35. Māori are being imprisoned at a rate six times that of non-Māori; and that punishment quickly extends to their whānau and communities. Imagine the impact we could make on the crime rate, if systemic bias was analysed and addressed over the next decade. Rethinking’s main response has been to share resources as widely as we can, mostly through preparing discussion papers on the issue of structural discrimination. You can download some of these at the end of this blog. Rethinking Crime and Punishment’s position is clear. While Māori are over-represented in the criminal justice system to the extent that they are, New Zealand cannot claim to be a world leader in human rights. That title can only be earned through a determined effort to address the issue of Māori over-representation in the criminal justice system, including systemic bias against Māori. It may be that over time, the nation’s sense of honour will awaken. When five member countries all point to our inadequate response, it must count for something. Unfavourable comparisons with other societies, shame and ridicule, and criticism from more civilized nations, are sharp moral motivators. When a highly immoral or deplorable practice becomes sufficiently repugnant in the eyes of a sufficient number of people, there will be a mood swing against it. (2) Blagg, H, Morgan, N, Cunneen, C and Ferrante, A (2005) Systematic racism as a factor in the over-­representation of Aboriginal people in the Victorian criminal justice system. Melbourne: Equal Opportunity Commission and Aboriginal Justice Forum. 1. The Human Rights Commission Discussion Paper on Structural Discrimination Structural (often referred to as systemic) discrimination occurs when an entire network of rules and practices disadvantages less empowered groups while serving at the same time to advantage the dominant group. Structural Discrimination Have Anything to Do with It? This paper explores the existence of structural discrimination and personal racism within the criminal justice system, and proposes a way forward. It is the role of our criminal justice leaders, through the Justice Sector Leadership Board, to ensure that policies and practises at the very least do not exacerbate existing unjustified disparity. Racial Impact Statements are one way of engaging in a pro-active assessment of how to address these issues in a constructive way. I don’t know what other people do as they sit at a tangi or funeral service waiting for the korero or service to begin. Increasingly, I find myself looking for familiar friends and faces, and thinking about those who are permanently absent, (at least from this world). Last week, I sat with good friends at Te Kakano o te Aroha Marae to celebrate the life of Kaylene O’Reilly, the beloved daughter of Taape and Denis O’Reilly, social activist, writer, and gang associate. (Eugene is the one on the right) and Superintendent Wally Haumaha Of Police National HQ. I first met Denis in 1972, when after a decision to leave a Catholic seminary, he worked as a field worker for the Tenant’s Protection Association. We were both involved in Community Volunteers at the time. I was Sergeant in charge of the Wellington Youth Aid Section, based in Newtown. Denis came into my office imbued with a vision to make a difference in the world, and determined to change the emerging gang scene -which was much more difficult and dangerous that it is now. I wasn’t very supportive; something told me that a young wild eyed Irishman attempting to grapple with the complexities of the gang culture wasn’t a good fit. I was wrong. Denis managed to get himself into a whole lot of scrapes, got arrested a few times, and by 1975 was the national organiser for Black Power. But his big vision never faded; and he has pursued it for over forty years. 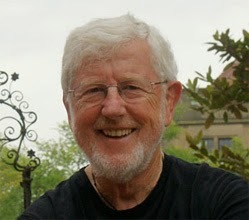 He went on to occupy a unique place in New Zealand social history, as social activist, community development consultant and senior public servant. When Denis spoke about Kaylene, he recounted the miracle when seven years before, Kaylene had been administeredthe last rites, after being diagnosed with brain stem encephalitis. Taape decided to call in a tohunga, Rangitihi John Tahuparae who was Parliament's first official kaumatua. John administered a karakia, Kaylene emitted a loud sigh, and was immediately healed - much to the amazement of medical staff and the Catholic priest. That story brought back earlier memories of John Tahuparae, who in the 1970’s was a member of Nga Tamatoa. 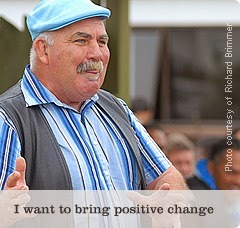 At that time, I visited the Kohitere Training Farm, Levin, for three days every month, doing group work with the boys due for discharge, setting them up with local community support and networking with their local Police Youth Aid officer, and other support agencies. We would role play the kinds of situations they would face in the community on release - bullying, ethnic profiling, relating to social workers and people of authority, strategies for dealing with abuse and violence within the home, and identifying ways in which we might reduce future re-offending. Kohitere was a hellhole of a place. The one saving grace was the counsellor at the time, Gary Hermansson, these days a well-known sports psychologist. There were very few Māori support staff at the institution, and I talked Tahu and a couple of other Nga Tamatoa members into coming with me on visits, to teach te reo, tikanga Māori and kapahaka. They made a hugely positive impact on the boys, although some institution staff were convinced that when the boys practised te reo, they were talking about them. At that time, we relied heavily on Māori Police officers to work at the margins with the emerging gang situation, and whānau. By the 1970’s, the impact of earlier urban Māori migration began to impact on the crime rate, (the Māori youth apprehension rate increased by 50% between 1954 and 1958). It was the Māori Police officers who were influential in maintaining a sometimes uneasy peace between the whānau of Māori urban migrants, and the justice sector. Wellington policing would have been far more problematic in the absence of police officers such as Hoppy Hodges, Tony Olsen, Waho Tibble, Charlie Hohaia, Rangi Rangihika, Devon Paaka, Rana Waitai, and others, who acted as ‘honest brokers’ between the predominantly pākehā police service, and whānau. The 1970’s saw the formation of the ‘J” Teams – community teams consisting of representatives from the Police, Social Welfare, Māori Affairs and the community, who joined to deal with the emerging gang scene, and youth crime. Once again, Māori Police officers were at the fore, demonstrating a capacity to build trusting relationships with offenders and their whānau, and exercise discretion appropriately. In the mid 1970’s, I recall discussing the added value that Māori Police officers brought to the service with other police managers. It led to a piece of (totally unscientific) research, in which we looked at the performance assessments of Māori Police officers from the point of recruitment through the first five years of service. We compared them with the non-Māori Police officers with a registration number to either side, i.e. officers who were recruited and enrolled at the same time. There was a very clear trend. First, Māori officers tended to get lower marks for skills such as report writing, and attention to detailed administrative processes, but were rated higher in relationship skills, and the exercise of discretion. After five years, they had caught up with their pākehā counterparts in the area of report writing and administration, and continued to improve in relationship building, and community engagement. The Police Iwi Liaison Service was formed in 1992, since 2000 a major part of their activity has been working with iwi to develop Iwi Crime Prevention Plans. Māori membership within the Police has since increased steadily – there are currently 800 Māori Police officers out of a total staff of around 11,000. .
For those working closely with whānau and communities however, the place where the Police Māori Iwi Liaison staff make the most powerful impact, is with their work at the margins. They provided a critical link between gangs, and crime families and whānau to the law and order establishment. There have been countless occasions in the last 20 years, where the intervention of a Māori Police officer has served to de-escalate community and family violence, and to neutralise Police racism. Their reputation within iwi and the Māori community is high, and richly deserved. For many, they are the ‘Thin Brown Line’ - a place where people feel safe to share information, where views and perspectives are respected, but in the knowledge that their loyalty is to the Police organisation. Why the Thin Brown Line? The Thin Blue Line is a colloquial term for the Police. The blue refers to the typical blue of the police uniform, and refers to the police forces in general. It may refer to the police as a "line" standing between good and evil (citizens and perpetrators), or may refer to the "line" that separates the police as an in-group from everyone else (with positive, negative or mixed connotations, depending on the person using the expression). The Thin Brown Line are those Māori members of the Police Iwi Liaison Service who stand between the Māori community and the Police organisation. Often they act as brokers between the two. They enjoy the wide respect of both the Māori community and the community at large, and at times mitigate and mediate in the worst cases of Police misconduct. There is a growing view that Iwi Liaison Officers are undervalued within the Police service. The Police decision not to involve Iwi Liaison staff, in Operation Eight, (the Tuhoe raids) while considered by the ICPA to be a reasonable decision, left a sour taste in the mouths of Maori. . Certainly, the outcome would have been different and less traumatic, if they had been involved. 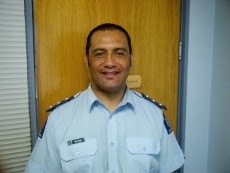 I visited the Police College a couple of days after the Tuhoe raids. Moana Jackson had just resigned as patron of the Police Recruit Wing at that time, in protest at the Police action. I had been invited by Inspector Hurimoana Dennis to discuss with iwi liaison officers piece of work I did for the Police in 1998, which had contributed to its Treaty response strategy. They were devastated by what had happened, and a couple were close to tears. But what impressed me most of all thing, was that during the two hours I spent with them, not one word was uttered against the department or its senior officers. It occurred to me then, that if the Iwi Liaison Service is indeed the ‘Thin Brown Line’ they are staunch in their support of the department. That loyalty needs to be repaid in kind, and their significance in maintaining peace and preventing crime recognised. Let’s make it our business to honour the ‘Thin Brown Line’. I have a great deal of sympathy for senior Corrections managers in their efforts to run a complex and large organisation and at the same time deal fairly with the many complaints from prisoners. Amongst that group are a small number of ‘prison lawyers ‘ and vexatious litigants, who occupied an inordinate amount of management time, usually with no productive or positive outcome. In my time as Head of Prisons, I was sorely tested at times, to discharge that responsibility in a fair and patient way. It must be a great more difficult now. None of the people I recall would have come anywhere close to Arthur William Taylor, once described by Commissioner Mike Bush, as a “criminal with no social ormoral conscience who is an absolute burden on the country". Those people that know Taylor absolutely agree. Taylor, in his role self- appointed role as ‘prison lawyer’ brings to mind the TV character of years gone by – Rumpole of the Bailey . Rumple loved the courtroom, and the simple pleasure of defending judicial principle, or his clients, most of whom were minor villains. Taylor stands apart from other ‘prison lawyers’ that I have known, in that he is frequently successful. He is an absolute thorn in the establishment’s side. Arthur Taylor seems to have an unerring ability to select issues for which there is compelling argument. In his latest foray, he has once again, chosen well. Taylor recently appeared via video at the High Court, in Auckland to argue that the legislation which prevents prisoners from voting is a breach of human rights legislation and the Treaty of Waitangi. The Attorney-General and the chief executive of the Department of Corrections are seeking to have the application struck out, saying it's an abuse of process. The Attorney General’s lawyer says that the court does not have the jurisdiction to say Parliament acted unlawfully when it created the act. Cast your minds back to 2010. Paul Quinn, a new MP , introduced a private member’s bill, the Electoral (Disqualification of Convicted Prisoners) Amendment Bill to stop prisoners from exercising their right to vote while in prison. The Attorney General, in a report to the House of Representatives, considered that the Bill was unjustifiably inconsistent with the electoral rights affirmed by s 12 of the Bill of Rights Act, which affirms article 25 of the International Covenant on Civil and Political Rights, to which New Zealand is a signatory. Article 25 recognises the right of citizens to vote in genuine periodic elections without unreasonable restrictions. The Attorney General cited a 1993 High Court decision R v Bennett (1) which found that there was a clear conflict between the blanket ban on prisoner voting in place at the time and the Bill of Rights Act. He also pointed out that both the Supreme Court of Canada(2) and the European Court of Human Rights, (3) have held that a blanket ban on prisoner voting is inconsistent with electoral rights. Fifty three submitters objected to the Bill, including the NZ Law Society, and the Human Rights Commission. Most social commentators were convinced that the Bill would die at the Select Committee. The Select Committee however, recommended adoption of the Bill with some minor changes. Nevertheless, its report to the House of Representatives, included very strong minority objections from both Labour and the Greens. They noted that there was no public demand for the Bill, no public debate, and no evidence that it would reduce crime or recidivism. It was described as overly punitive and irrational, with the potential to further marginalise those who already constitute an underclass. What was the Purpose of the Legislation? The Bill was introduced as a measure to prevent serious offenders from voting. The existing legislation at the time, prevented prisoners serving more than three years, a life sentence, or preventive detention from voting – this bill introduced a blanket ban, based on the argument that all people who go to prison are serious recidivist offenders. As the Attorney General pointed out in his report, not all those in prison are serious offenders. Around 70% of all people in prison today, will be released within the next six months – most of them are in prison for property offences, drug and alcohol related offences, and low level crime – and most will stop offending by the time they are thirty years of age. This proposal is downright wrong in its intent, outright stupid in its design and (if finally enacted) would be such an indelible stain on the parliamentary law-making process as to call into question that institution’s legitimacy to act as supreme lawmaker for our society. The Attorney General’s Office, a major opponent to the legislation, now have the unenviable task of arguing in the High Court, that Arthur Taylor’s case should not proceed, not because he is wrong, but because it is “an abuse of process”. The lawyer for the Attorney General says there is uncertainty as to whether the court had the power to say Parliament acted unlawfully when it passed the law, and that judges can comment on laws, but making a declaration would create a conflict between the courts and Parliament. And so it should. As Andrew Geddis comments, there comes a time when the quality of parliamentary lawmaking needs to be vigourously challenged. A Breach of the Treaty of Waitangi? All the debate of the day however, failed to consider the second leg of Taylor’s case i.e. that the legislation breaches the Treaty of Waitangi. I do not have access to the detail of his argument, but I assume that he is referring to Article Three, which extends to Māori all the rights and privileges of British Subjects. The argument would I think, take the line that by denying prisoners the right to vote, Māori are not only denied the right to vote, but are disproportionately disadvantaged. Māori are six times more likely than non-Māori to end up in prison, and therefore six times more likely to be deprived of the right to vote. The graph below tells us two things. First, that a significant number or people stop going to prison by the time they turn 30. Second, that New Zealand’s imprisonment rate is very high compared to similar western nations – around 194 per 100,000. However, Maori are imprisoned at a rate of around 700 per 100,000, just under the imprisonment rate in the USA. When imprisonment rates of an ethnic group reach that level, then the law operates to shift inequality into the political process, causing the disproportionate denial of the right to vote to Maori, and to a lesser extent Pacific peoples. The US of course, has taken disenfranchisement against prisoners and people of colour to its extreme. 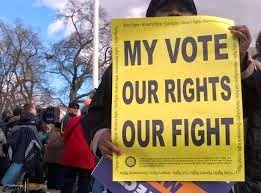 Only the States of Maine and Utah allow prisoners the vote. This issue has been the subject of litigation in the United States. In the case Farrakhan v. Gregoire, evidence was produced to show that the disenfranchisement of sentenced prisoners in Washington State, resulted in an astonishing 24% of all black men in Washington State and 15% of the entire Black population, being denied their voting rights. What is the Impact of Disenfranchising Māori Prisoners? What is the potential Impact of denying the 4,300 Māori prisoners a vote at election time? While most would argue that the impact will be negligible – New Zealand has an unique parliamentary arrangement. There are seven Māori electorates, which are the preserve of Māori voters, and two political parties, Māori Party and Mana-Internet Party, which attract the Māori voter. 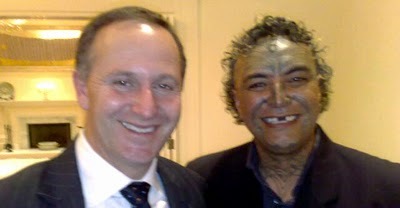 Potentially, there could be a close contest for the Taitokerau Maori seat, (which covers Northland and West Auckland), between Mana’s Hone Harawira and the Labour Party ‘s Kelvin Davis. Around 22% of Māori in prison identify as coming from Ngapuhi and Te Taitokerau, and a one quarter of all Maori come from the Auckland region. It is possible that the government’s decision to deny Māori prisoners voting rights, could swing the result in either direction. If that happens, is there a case for claiming that the result is unlawful because Māori voters in the area have been denied a basic human right? Will the Denial of Prisoner’s Rights Reduce Crime? Finally, let's consider whether this legislation will reduce crime. 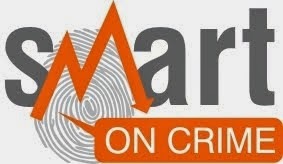 The Smart on Crime ‘brand’ is ‘based on two simple ideas. First, it is a given that all criminal justice policies and strategies should observe the basic human rights guaranteed under the NZ Bill of Rights and international covenants. Second, it's about supporting policies, strategies, practices and processes which reduce crime victims and social harm in the community. The Electoral (Disqualification of Sentenced Prisoners) Amendment Act 2010 absolutely fails on both accounts. It breaches the Bill of Rights, and will have absolutely no impact on crime reduction. In a recent article recently, the Australian Business Insider, commented on a Vera Institute report comparing European and American prisons. The Vera report gave six reasons why European prisons were more effective. One of the reasons was described as promoting ‘A Connection To Society’. In Northern Europe and Scandinavia, prisoners are expected to work toward their reintegration from the first day they enter prison. In Germany and the Netherlands, prisoners get to keep many of their rights while they’re behind bars — like the right to vote and to receive some welfare benefits. Prisoners regularly get a chance to spend time away from prison. Some prisoners in the Netherlands “report” to prison during the week and then go home and spend the weekends with their families so they can maintain those relationships. In the U.S. as in New Zealand, family visits usually happen within the confines of a visiting room. If we are serious about prisoner reintegration, and reducing crime, we need policies and legislation which encourages inclusion in society, rather than legislation which aims to stigmatise and stereotype. In the meantime, let's wait to see what Rumpole of the Bailey comes up with. (3) Hirst v the United Kingdom (No 2) (6 October 2005) ECHR 74025/01.